We recently shared our top five most popular low-rise blog posts of 2014, so now it’s time to highlight the top high-rise posts of the year! With Toronto’s condo boom, it’s difficult to pick favourites or decide which developments were the best - that’s why we’re relying on our blog traffic to determine the most popular developments of the year. There weren’t any low-rise, boutique condos featured in our most popular low-rise list, and our high-rise list doesn’t feature any buildings shorter than 30 storeys. At the beginning of the year in February, we had a series of features called Developers of Tomorrow. We interviewed numerous youngsters in the industry (under 30) and introduced them to the world, showcasing their roles, talents, and goals. This is when we first heard about Academy Condos. The principals of Devron Developments and LeMine Group were teaming up to bring a condo to a Scarborough location that was in desperate need of housing. We received a rendering in a couple months and posted this blog post announcing the development. Needless to say, it received a lot of traffic, mostly because of the starting price of $188,800. 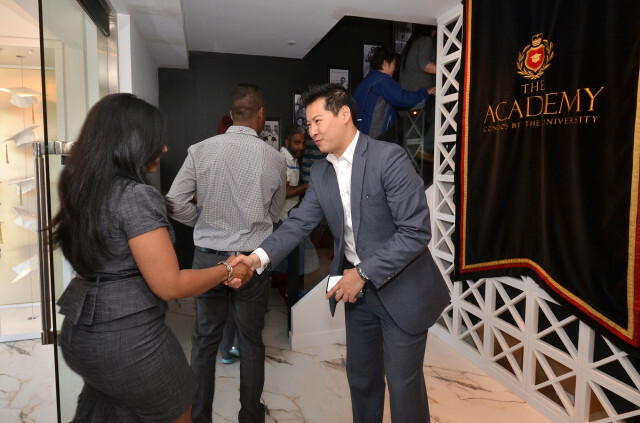 Later in the summer, Academy Condos sold out overnight from the preview event. The developers made a commitment to donate a certain amount to SickKids hospital for each person who attended the preview opening. Then, in October, Devron and LeMine donated $30,000 to the hospital! 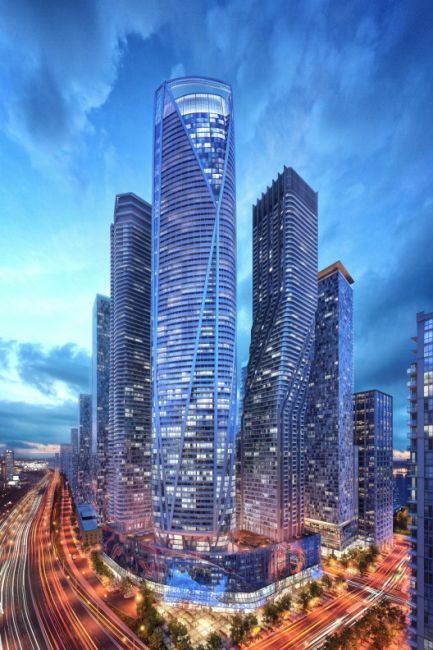 One of the biggest announcements of mid 2013 was that Pinnacle had purchased the 1 Yonge site in Toronto. So, one of the first things we did in the new year was sit down with Anson Kwok, the VP of Sales & Marketing, Pinnacle International, to talk about their plans for the site. 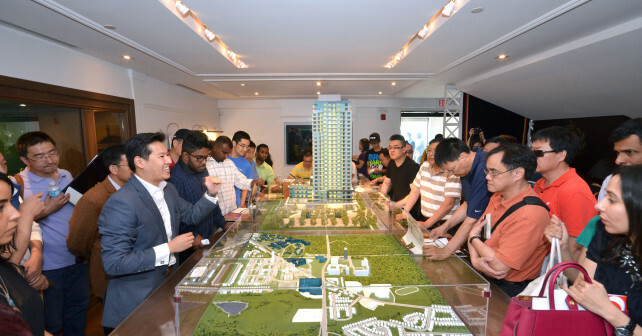 We visited Pinnacle’s office where Kwok explained that there would be four residential buildings ranging from 70 to 88 storeys, along with office towers. He also stressed that the mixed-used neighbourhood would feature many three-bedroom units and be a great area for families. Those interested in the 1 Yonge master-plan will have to stay tuned for more information! Newinhomes.com has featured 5959 Yonge Street Condos a few times on the blog recently. 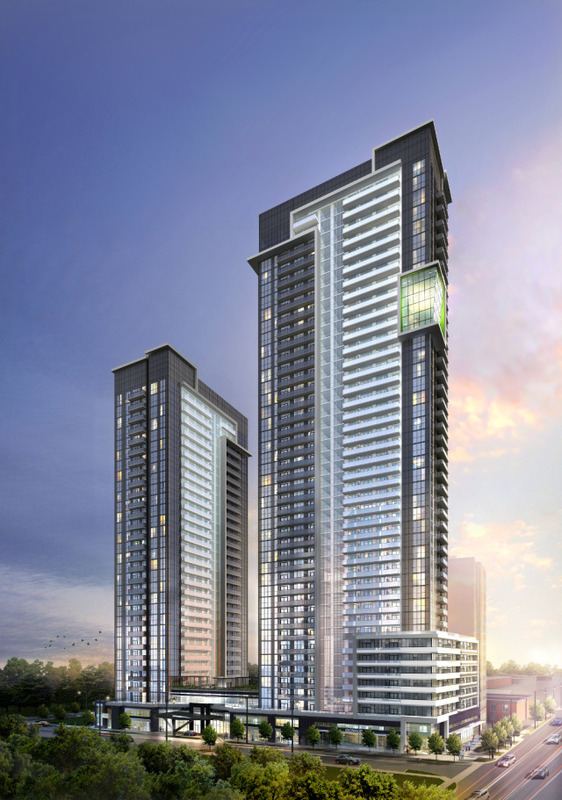 It’s an exciting condo planned for the heart of the Newtonbrook neighbourhood in North York by Ghods Builders. This particular post was published in October and highlighted the great neighbourhood amenities. One thing that 5959 will feature that has people talking is the LED sports court, a first of its kind in a condo building. 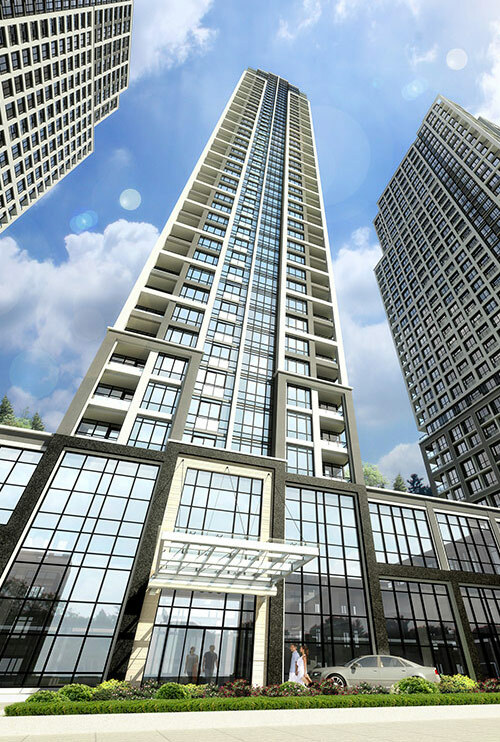 If you want to learn more about 5959 Yonge Street Condos, register here for priority information. 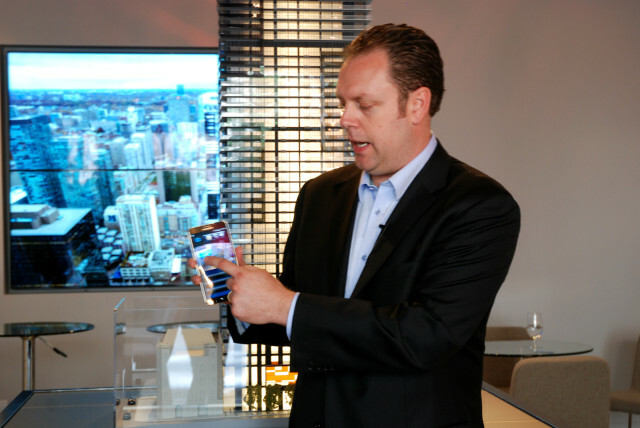 Last summer, Canderel teamed up with True Marque Group of Companies to offer Samsung powered smart home technology at YC Condos in Toronto. Basically, if a homebuyer at YC Condos decides to fully upgrade all the tech in their suite, they can control everything including locks, lighting, cameras, and their entertainment system from their smartphone or tablet. Also, all the suites come standard with a door lock that can be opened with your smartphone. This is a first for the GTA condo market, so you can bet it made headlines. YC Condos has come a long way since it opened earlier this year. We attended the groundbreaking at the beginning of December and there are now only six penthouse units remaining! The fifth position is taken by Tridel’s announcement of Islington Terrace. It’s always exciting when a big developer like Tridel announces a new master-plan, and since it was announced all at once that there would be three buildings, people took notice. With a starting price in the mid $200,000s and a location right next to the Bloor subway line, it comes to no surprise that registrations are pouring in. To learn more about Islington Terrace, visit the presentation centre, which just opened at 2487 Bloor Street West. Looking back at all the exciting announcements and accomplishments of 2014 has made our whole team very excited for what the new year holds. Stay tuned - we’ll be keeping a close eye on Toronto’s thriving condo market!